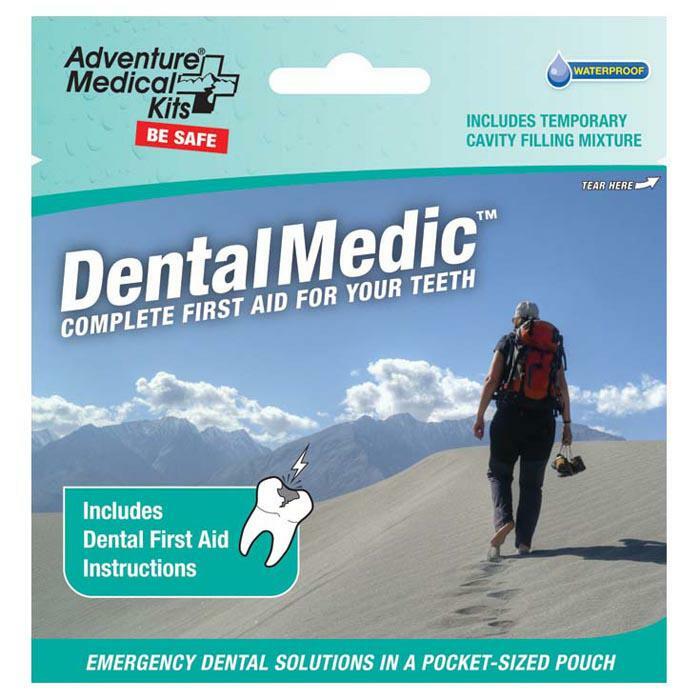 Replace lost fillings, loose crowns and relieve dental pain with this handy kit. 1- dental floss, 1- temporary filling mixture, 1- dental wax, 5- cotton rolls, 3- toothpicks, 5- cotton pellets, 2- topical anesthetic, 1- tea bag, 1- instructions. Size: 5" x 4.25". Wt: 2 oz. Comes in a waterproof pouch.